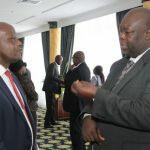 The Judiciary developed the Bail and Bond Policy Guidelines to give direction to the administration of bail and bond in courts and police stations and decongest prison facilities. The guidelines seek to establish fairness and bring consistency and standards in bail/bond terms and guide police and judicial officers in the application of laws that provide for bail and bond. Further, they seek to emphasize oversight mechanisms and inter-agency co-ordination as well as public sensitisation. This is to ensure the rights of suspects and accused persons to liberty and to be presumed innocent are balanced with the public interest, including protecting the rights of victims of crime. The BBIC was constituted in July 2015 to oversee the implementation of the guidelines. So far, the committee has developed a manual to assist train justice sector actors on the guidelines. It has trained over 30 officers on the guidelines who will in turn train institutions in the criminal justice sector. Further, it has developed a template to monitor and evaluate implementation of the guidelines. The tool monitors the type of cases at court stations, number of released persons under bail and bond terms, bail/bond terms reviewed and accused persons who abscond bail/bond among other variables. 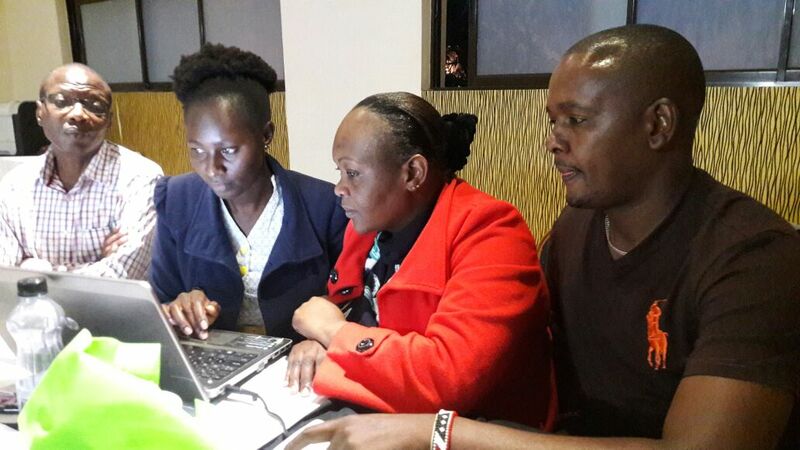 The tool is being piloted at Kibera, Naivasha, Iten, Nyeri, Kilifi, Machakos, Busia, Meru, Garissa and Kisii law courts. 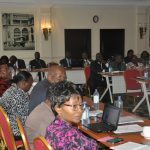 The committee is expected to develop practice directions/guidelines for use by various stakeholders on bail and bond application, develop legislative proposals to inform law reform on bail and bond administration and monitoring and reporting on the application of the policy guidelines among other activities. Conducting sensitization and training exercises among the relevant stakeholders and the public generally on the application of the bail and bond terms and related matters. Engaging the relevant actors as necessary to enable operationalization and the streamlining of the bail and bond processes across all relevant justice sector actors. Recommending and/or undertaking such measures, including legislative interventions as necessary to achieve the operationalization of the recommendations of the Taskforce by the relevant agencies. Monitoring, evaluating and reporting on the implementation of the Bail and Bond Policy Guidelines and Recommendations contained in the Report of the Taskforce. The National Council on the Administration of Justice. The Constitution of Kenya recognizes the right to bail and bond to all arrested and accused persons regardless of the offence committed. Despite this constitutional guarantee, the administration of bail and bond continues to pose serious challenges both at the police and court level. These challenges include difficulties in balancing the interests of the suspects, accused, victims and the public interest in decision making; disparities in decision making; unaffordability of bond terms leading to congestion in remand facilities; absconding by accused persons and weak inter-agency coordination among others. In the same vain there are accused persons who are vulnerable especially the children, the elderly, lactating mothers, and persons with mental and physical disability among others. In addition, there are emerging issues in respect to intersex and transgender persons. Decision making on bail and bond particularly at the police stations remain opaque, unpredictable and in some cases arbitrary. In traffic cases,in particular, unreasonable bail terms are employed to traffic offenders which are often construed as punishment. Monitor, evaluate and report on the implementation of the BBPG and Taskforce Recommendations. Adoption of cashless pay system in courts for payment of cash bail through mobile money transfer and agency banking. Developed public sensitization and educational materials such as FAQs, Charters for both the Judiciary and Police. 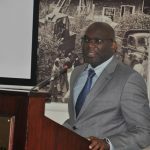 Reduction of the numbers of the persons held in prison remand custody from over 48 per cent to currently 37 per cent of the total prison population that stand at 52, 000. Undertaking awareness campaigns to educate and sensitize stakeholders and the public in different parts of the country through Court Users Committees (CUCs) and mass media. Sensitizing key stakeholders particularly the Chief Registrar of the Judiciary and the administrators (Registrars) of the various court levels. Entrenching of BBPG in the in the Judiciary Training Institute (JTI) training curricula. Undertaking monitoring and evaluation of the uptake of the BBPGby the judicial officers and police. Holding bilateral engagement with key agencies in the implementation of the BBPG including the Offices of the Chief Registrar of the Judiciary, the Attorney-General, the Director of Public Prosecutions, the Inspector-General of Police, the Kenya Prisons Service, the National Transport and Safety Authority, the Director of Children Services and the Probation and Aftercare Service. Encouraging police, prosecutors, prison officer, probation and others to entrench training of the BBPG through formalized and continuous training. To this extent the committee is working on a comprehensive training manual and a compendium of caselaw on bail decision making. Undertaking concerted mass sensitization of the public on the subject of bail and bond in order to make them understand that suspects and accused persons released on bail have not been left off-the-hook. Developing a comprehensive Bail and Bond Bill that will address both substantive and procedural issues on bail and bond and, other administrative processes. Developing tools for monitoring and evaluating the implementation of the BBPG. 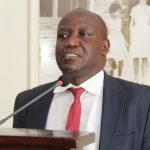 After the implementation of the planned activities by the Committee, it is anticipated that majority of Kenyans will be able to access bail and bond in an easier manner, remand prisons will hold appropriate numbers of remandees, there will be uniformity in decision making and proper balancing of the various interests and fair administration of bail and bond measures. The number of offenders who have not been convicted has significantly reduced in the country’s remand facilities following the implementation of policy guidelines developed in 2015 to guide police and judicial officers in the application of laws that provide for bail and bond. A High Court Judge at Milimani’s Criminal Division, Justice Luka Kimaru, said the prisons now hold more convicted offenders than accused persons whose cases are still before court. One of the long term objectives of the Bail and Bond Policy Guidelines is to decongest prison facilities. 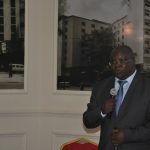 Speaking during a consultative meeting held at a Nairobi hotel last Friday to discuss the implementation of the policy guidelines and the challenges experienced, Judge Kimaru who is also the chairman of the National Community Service Orders Committee, said the number of remandees in prison facilities across the country has gone down from 32,000 in 2014 to 21, 000, in 2017. “There are more convicted offenders serving jail sentences in prison facilities than accused persons who have not been convicted. 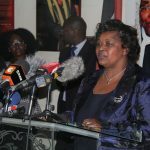 This was not the situation before 2015 in the country when there were more remandees in these facilities than those convicted to serve sentences,” Justice Kimaru explained. 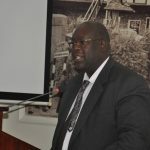 He added: “Kenya is doing very well because of development and application of the policy guidelines.” The judge however, called on all judicial officers to change their mindsets and fully commit to administering bail and bond terms in line with the Constitution of Kenya 2010, and the policy guidelines. “The overriding principle in bail and bond application is what the Constitution says — an arrested person has the right to be released on bond or bail unless there are compelling reasons not to be released.” Judge Kimaru maintained. Lady Justice Jessie Lesiit who heads the Criminal Division at Milimani Law Courts and also chairs the Bail and Bond Implementation Committee (BBIC), discussed the issuance of bail by courts, determination of bail/bond terms, bail hearings and pre-bail reports, sureties and security, bail processing in courts, absconding and consequent process as well as supervision of persons released on bail and how these issues are dealt with in various courts, across the country. 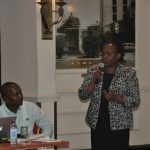 She noted that courts vary in practice in how to apply provisions even as concerns are raised on how the various courts administer bail and bond, a situation she said need to be addressed. 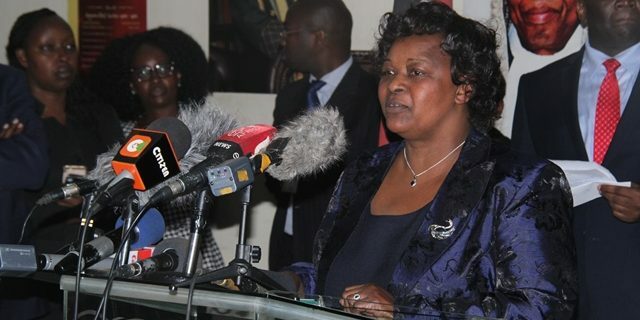 Judge Lesiit cited the delays in the process of verification of security, delays in approval and the different modes of approval of sureties by courts, the lack of institutionalised process for supervision of persons released on bail and handling of special needs offenders in remands and prisons, as some of the concerns that have been raised during monitoring the implementation of the guidelines by her committee. She said her committee has proposed development of practice directions to guide courts on bail processes, incorporation of bail/bond variable in court returns template, increased support to Probation Department to meet demand for reports and supervision, policy engagement on supervision, uniform guidelines and development of checklist on approval of sureties and verification of security documents, as some of the measures that ought to be undertaken to streamline administration of bail and bond by courts and the police. Participants during the one-day conference, which brought together judges and magistrates from the County of Nairobi as well as stakeholders in the justice chain, were exposed to implementation strategies for effective bail and bond administration, socioeconomic impact of pre-trial detention in Kenya as well as the experiences in the application of bail and bond guidelines by judicial officers and defence lawyers. They called for sensitisation of the public on Article 49(1) (h) of the Constitution of Kenya with regard to the right of an arrested person to be released on bond or bail and especially the fact that all offences are bailable. Further, they called for establishment of a special office in the Judiciary to deal with securities and sureties during bond processing. The issues of whether courts should consider the offender or the offense when applying bail and bond terms and what constitutes compelling reasons with regard to opposing bail/bond terms in the light of what the Constitution states, were discussed at the forum. 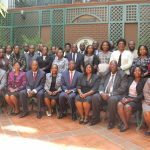 Magistrates, prosecutors and police officers maintained that these issues still posed great challenges in the administration of bail and bond terms. 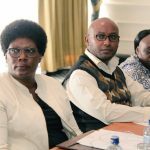 Other facilitators during the workshop included: Justices James Wakiaga and Grace Ngenye, Lawyer Solomon Wamwayi and the Independent Medico-Legal Unit (IMLU) Program officer Ann Kamau. Ms Catherine Mwaniki from the Office of the Director of Public Prosecution (ODPP), Milimani Law Courts’ Chief Magistrate Francis Andayi, National Council on Administration of Justice (NCAJ) Executive Director and Chief of Staff in the Office of the Chief Justice Mr Duncan Okello, were also among those who made presentations at the forum. Overall, the policy directions emphasize, release on bail/bond as a constitutional right, need for bail terms to be reasonable, the right to review of bail terms, information on granting/denial of bail/bond must be given, rights and welfare of victims of offences, special consideration for the vulnerable and special groups, new approach to minor cases, particular attention to transnational offences as well as inter-agency co-ordination, oversight of places of detention and public education among other issues. It has trained over 60 officers of different agencies who will in turn train institutions in the criminal justice sector. Undertaking pilot monitoring in 20 courts: High Court Criminal Division, Chief Magistrates Court Milimani (Criminal court, Traffic court, Anti-Corruption court), Children’s court, City Court, JKIA, Kibera, Makadara, Meru, Nyeri, Kilifi, Malindi, Machakos, Busia, Iten, Garissa, Naivasha, Kisii and Sotik. Developed training guide for use in training justice sector actors. Developed and disseminated IEC materials. The Bail and Bond Implementation Committee led by Judge Jessie Lesiit when they visited Embu GK Prison. The team was one of the groups that visited the courts to assess the implementation of Bail and Bond Policy Guidelines in the country. The Judiciary has administered over 500 bail and bond terms to accused persons in one of its court stations under new guidelines unveiled in 2015 to guide the application of bail and bond in police and courts. Bomet law courts administered 518 bail and bond terms as at August 31, 2016, over the last one year. Out of this number, 266 accused persons were released on cash bail and 252 on bond terms. 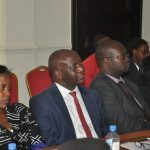 At Kilgoris law courts, the committee responsible for implementing the Bail and Bond Policy Guidelines established that 89 accused persons had violated bail and bond terms. They include 50 released on cash bail and 39 on bond terms. Further, the Bail and Bond Implementation Committee (BBIC) established that 160 matters at Kilifi law courts, were cases affected by non-attendance of accused persons released on bond. Most cash bails at Bomet were administered to offenders suspected to have committed offenses related to grievous harm, maim, assault, traffic and alcoholic drinks and licensing. At Kilgoris, most cash bails were granted to persons accused of stealing. Traffic cases account for the highest number of matters at the three courts where accused persons jumped bail. Overall, most cash bails at the courts were administered in traffic, assault, stealing and alcoholic drinks-related cases. Most cases handled at Kilgoris include traffic and sexual offenses and those related to stock theft, assault, robbery, alcoholic drinks control and licensing, forestry (charcoal burning and transportation) and land matters (grazing disputes). 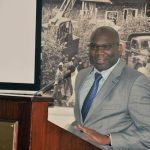 According to the committee chaired by High Court Criminal Division Presiding Judge Jessie Lesiit, the courts are hearing all pending cases but have issued warrants of arrest in matters where the accused have jumped bail and summons to sureties where those involved violated bond terms. The committee explained that absconding court affects expeditious disposal of cases leading to delayed justice. According to the new policy guidelines, bond terms may also involve the release of an accused on a personal bond (free bond) or deposit of a security including, logbook, title deed or share certificate. Further, the policy encourages use of Pay slips by those standing surety in appropriate cases. These measures complement the cash bail, normally asked by the courts. The committee instituted measures to monitor status of the implementation of the policy in each court station with a view of establishing the number of accused persons who absconded bail/bond, among other issues. 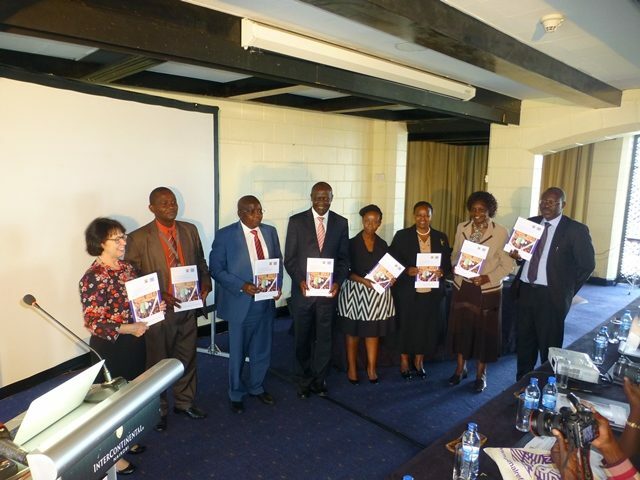 The Research Report on Women Serving Community Service Orders Probation was launched in Nairobi. The study was conducted jointly by Probation and Aftercare Service and Penal Reform International with funding from kid Thailand Institute of Justice. The occasion was graced by Presiding Judge, Criminal Division of the High Court, Nairobi, Lady Justice Jessie Lesiit and Justice Luka Kimaru. 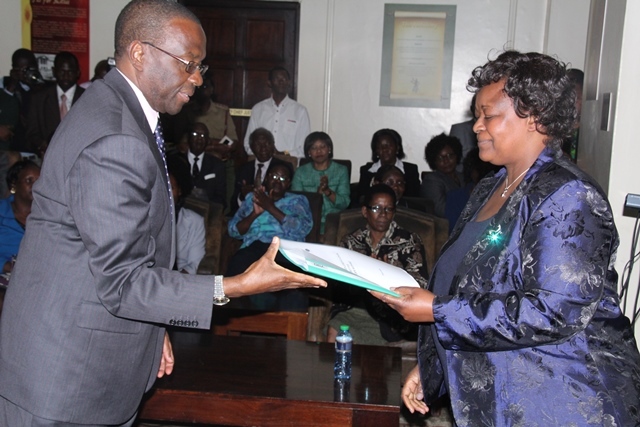 Bail and Bond Implementation Committee (BBIC) chair, Lady Justice Jessie Lesiit, hands to the Chief Justice Dr Willy Mutunga, the Mid-Term Review report on the Implementation of the Bond and Bail Policy Guidelines. 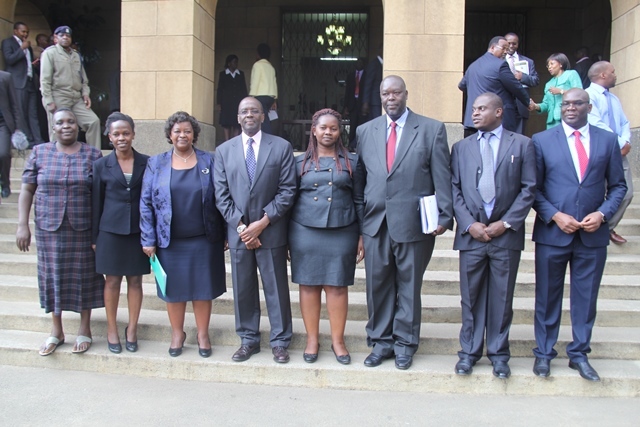 Members and the Secretariat of the Bail and Bond Implementation Committee (BBIC) in a photo moment with Chief Justice Dr Willy Mutunga during the presentation of the Mid-Term Review report on the Implementation of the Bond and Bail Policy Guidelines. 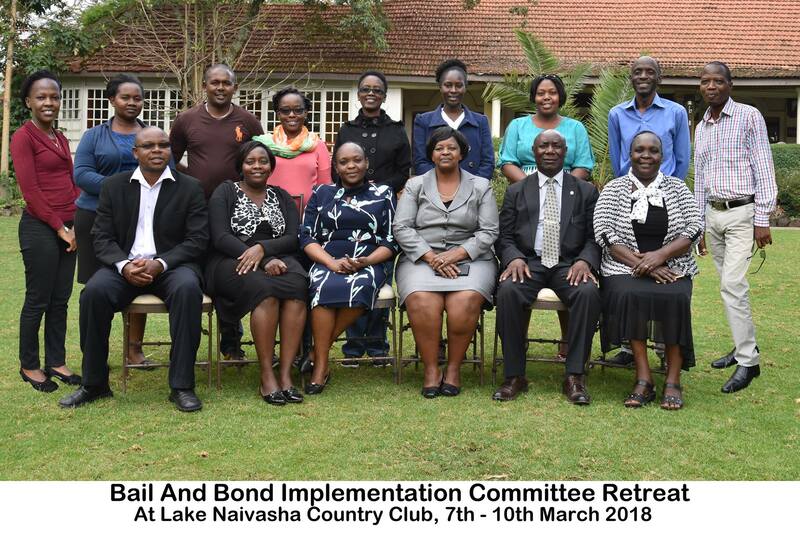 The Bail and Bond Implementation Committee, which is charged with the responsibility of ensuring that the Bail and Bond Policy Guidelines are fully implemented is developing a manual to assist in training the justice sector actors on the Guidelines. The move is intended to facilitate the implementation of the Policy Guidelines that were launched in March 20, 2015. The Guidelines seek to bring consistency and standards in the application of bail by courts and police stations. 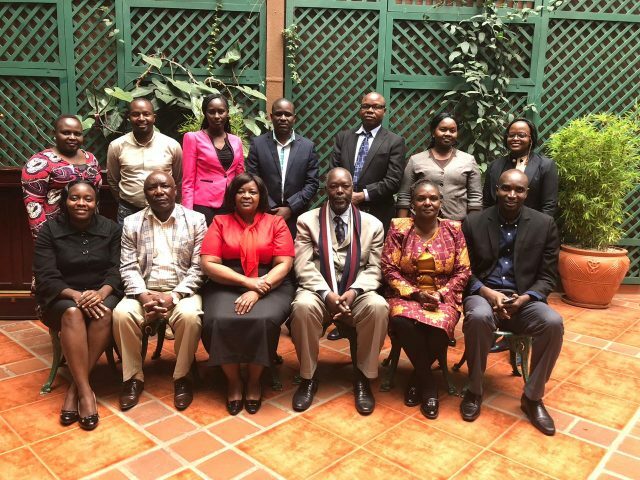 The Bail and Bond Implementation Committee (BBIC) met in Mombasa from June 5 – 9, 2016, to develop the training manual that will be used in the training of trainers who will in turn train stakeholders in the justice sector. Hon Lady Justice Jessie Lesiit, who is the Committee’s chair, as well as the Presiding Judge of the Criminal Division, commended the team for the progress the Committee had achieved which includes the development of charters for the National Police Service and the Judiciary. During the Mombasa forum, the Committee also visited Kilifi Police Station to engage with the police on the application of and compliance with the Bail and Bond Policy Guidelines. Further, the team held discussions with members of the Court Users Committee at the Kilifi Law Courts on challenges affecting administration of bail and bond in courts and at police stations. Justice Lesiit called on the police to ensure that processing of bail is not delayed, saying that this denied justice to arrested persons. The team was accompanied by Hon Lady Justice Lydia Achode who chaired the Task Force that developed the Policy Guidelines. Meanwhile, the Committee has developed a template to be used to monitor and evaluate implementation of the Policy Guidelines in the country. The tool which was developed with the help of the Judiciary’s Directorate of Performance Management, will be applied in 10 pilot court stations which include Kibera, Naivasha, Iten, Nyeri, Kilifi, Machakos, Busia, Meru, Garissa and Kisii. Further, the Committee is mandated to undertake various strategies aimed at institutionalizing application of the Guidelines in the country. Among the key activities scheduled for rollout to entrench the Guidelines include the development of practice directions/guidelines for use by various stakeholders on bail and bond application, development of legislative proposals and development and distribution of IEC materials. The Committee is also involved in spearheading the process of public awareness campaigns on the application of bail and bond in the country. All these interventions are geared towards ensuring effective implementation of the Policy Guidelines through building the capacity of stakeholders on the application of the Guidelines, engagement of relevant actors, creating awareness on the Guidelines as well as streamlining Bail and Bond legislation. The Committee has structured its engagement through regular meetings, workshops and seminars, public hearings, stakeholders’ consultations, visits to sector institutions and correctional facilities. Monitor, evaluate and report on the implementation of the Bail and Bond Policy Guidelines and Recommendations contained in the Report of the Taskforce. Hon. Lady Justice Lesiit is the Committee’s chair, Ms Mary Oundo, the Vice Chair with Mr. Clement Okech of the Probation and After Care Services as the secretary. Other members are drawn from the Judiciary, Office of the Director of Public Prosecutions, Probation and After Care Services, National Police Service, Office of Attorney-General, Law Society of Kenya, Independent Policing Oversight Authority, Kenya Prisons Service, Kenya Law Reform Commission, Kenya National Commission on Human Rights, Children’s Department, Legal Resources Foundation, Judiciary Training Institute, National Transport and Safety Authority, and the National Council on the Administration of Justice. The Committee is facilitated by the Office of the Deputy Chief Justice. A bond is an undertaking entered into by an accused person to comply with conditions set by the court as a condition for his/her release while awaiting or continuing with trial. There are two forms of bonds: personal bond (free bond) and bond with surety. A person who binds himself /herself to ensure that an accused person will attend court and comply with the conditions set by the court. A surety can be discharged from standing in for the accused. When a surety is discharged; an accused person is apprehended until he provides another surety to meet the set bail bond terms. 3. What is Personal Bond (free Bond) ? Personal bond is a written agreement in which a person who has been arrested agrees to appear at all required court dates and promises to abstain from breaking the law while the personal bond is in force. Once the agreement is signed, the arrested person is released from custody. Bail is an agreement between suspect or accused person with the police/court that the accused person will attend court when required, and that should the accused person fail to appear, the court may issue warrants of arrest, and order forfeiture of the amount deposited. 5. What are my rights in relation to Bail and Bond? imprisonment for not more than six months. 6. Does being released on bail and bond mean an acquittal? It simply means that you are free as long as you abide by any conditions set by the police or court. 7. Are there circumstances when one can be denied Bail at the Police Station? If there are compelling reasons not to, the police will not grant you Bail, meaning that you will be in remanded in custody as you await to be charged. Whether or not there exists compelling reasons depends on the circumstances of each case. 8. Who can grant cash bail at the police station? The Officer in Charge of a Police Station has power to release arrested person upon execution of bail to secure their court attendance. The amount paid is refundable and once furnished, an arrested person is entitled to be immediately released. 9. How does one get a refund of the police cash bail? One is entitled to a refund of the whole amount deposited on his/her ﬁrst appearance in court. Note that Bail amount is not an equivalent to a ﬁne or bribe. In case no charge is preferred and the amount of cash bail has not been deposited with the court, you should go back to the OCS concerned to get a refund. 10. What is the difference between bail and fine? Bail is not a ﬁne. Bail is meant to secure ones attendance to court and is refundable once the matter is concluded. A ﬁne on the other hand is a form of penalty that is given when a person has either admitted the charge or has been tried and convicted of the offence. A fine once paid is not refundable unless there is a successful appeal. 11. When can the court grant or deny Bail? Once you are charged, the court will order your release on Bail or Bond on reasonable terms, unless there are compelling reasons not to. The burden is on the prosecution to prove that indeed, there exists compelling reasons not to grant you bail. 12. What are compelling reasons? Compelling reasons entail undeniable factors that the court considers justiﬁable to deny bail to an accused person. 13. What forms of security can one offer for release? There are various forms of security documents that the courts can ask you to furnish. The most common being land title deeds, salary payslips, car logbook, Share Certiﬁcates etc. These have to undergo a veriﬁcation process to confirm whether they are genuine and sufficient for the amount of security required. 14. Can one have Bail terms /conditions reviewed? When the accused person is unable to meet the Bond terms, he/she may apply to court for review. The accused may also orally request the court for review the terms in subsequent mentions of his/her case. The court may also request for a Bail information report from a Probation Officer before reviewing bail terms. 15. Can one have bail terms / conditions revoked? If you breach any of the conditions attached to the Bail or Bond, the court may subsequently vary or revoke the bail terms altogether. Where more charges are preferred against an accused person the court may vary or revoke the Bond terms. A Probation Officer is an officer of the court appointed under the Probation Offenders Act Cap 64 (Laws of Kenya) to provide advisory information on an accused. 17. What is the role of a Probation Officer on matters of bail? A Probation Officer is an officer of the court whose role is to provide advisory information on an accused when requested by the court. The advisory information may include the background of the accused, a statement from the victim of the offence, local administration and the community. The purpose of the report is to inform the court on the suitability of granting or denying Bail to the accused.